Building a business isn’t just about the great idea or the ingenuity behind it. The best businesses are the companies that begin with the best business plan, a strategy that focuses efforts on achieving one overarching goal. And here, at the BVCC, we have all the resources that you need to design the perfect plan of attack to launch a successful business that will flourish in the Massachusetts & Rhode Island community. At the Blackstone Valley Chamber of Commerce, we provide in-house advisors to new and aspiring business owners. We have access to industry specific consultants who have the practical experience an entrepreneur needs to get the customized business plan that will give their startup the best chance of success. Whatever advice you are looking for, whether it’s for marketing, finance, insurance, we have the experts you need to get the best advice and the latest industry secrets. SCORE is a network of volunteer, expert business mentors. Mentors at the BVCC include: Scott Rossiter, David Libbey and Narayan Sharma. Our mentors offer the business experience that new business owners need to bring the best possible business plan to the table. Our SCORE experts have experience in every aspect of business management, from the macro issues a business faces to the little details that allow everything to run smoothly. They are the ultimate asset to new business owners and the perfect sounding board for your new ideas and strategies. How much will a SCORE session cost? Absolutely nothing! Our network is volunteer based, professionals who offer their time to new business owners as a way to give back to the community. The counseling is free and confidential for any small business in Massachusetts, Connecticut, or Rhode Island. The SBDC (Small Business Development Center) provides free one-on-one comprehensive and confidential services focused on business growth and strategies, financing and loan assistance, and strategic analysis. The statewide program has three integrated product lines: Business Advisory Services, Government Contracting, and International Trade Services. What do SBDC advisors do? We work with business owners to develop business and marketing plans, evaluate financials and cash flows, and offer general business advice that will help their companies succeed. How will SBDC help my business? The SBDC business advisors are well versed in every aspect of business from the basic business plan a startup needs to a more aggressive business model designed to save a business. Whatever difficulty you as a business owner are encountering, the safe bet is that one of our professionals has experienced it too, and has the knowledge to walk you through the process. How much will an SBDC appointment cost? Our advisors are a free resource for our clients, offering confidential business advice to business owners and helping facilitate the growth of their venture. ISP provides financial and management assistance to companies and re-employment training to workers with the goal of ensuring the competitiveness of Massachusetts manufacturing companies. MBDC provides supplemental financing to promising small- and medium- sized companies in Massachusetts. 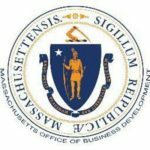 MDFA provides a one-step economic development financing source and has the ability to assemble complete financing packages for companies wishing to start-up or expand in Massachusetts.